Delicious - I wanted more! 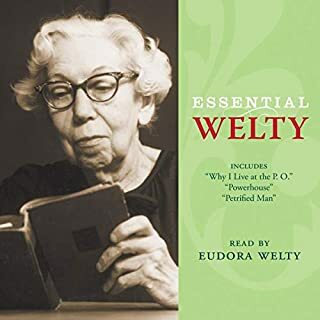 Ms. Welty's reading of her short stories is mesmerizing. I felt as though I were watching a play, or acting as an anthropologist looking into a world I'd never witnessed. She vividly takes you to a time and place with sparely written but richly inhabited characters. Deeply funny, moving, and very short. Highly recommended. Here's a quick primer routine for improving overall posture by paying attention to the three main components of posture: spinal alignment, muscular balance (from one side of the body to the other), and total-body strength. You will stand taller and feel firmer if you perform this fun and effective workout twice a week. This is a solid little 20 minute Pilates yoga routine whose main appeal is its ease-of-use - it's something you could easily fit in every day and offers some results without breaking a sweat. The author/instructor keeps you cheerfully moving through the whole routine. The recording quality is unbearably poor. I downloaded the highest level (5MB) file available on this audiobook, but the sound played through my computer speakers or iPod was unpleasantly distorted with what sounded like a lot of compression artifacts. The author's voice is distorted as if she were speaking through a walkie talkie, (sometimes to the point where it is hard to understand some words) and the background music would sometimes cut out as if I were listening over a speakerphone. Not ideal for something I might want to listen to every day. The author/reader has a pleasant and positive approach, and I liked that she counts or snaps you through all the reps so that you complete the whole set and keep moving. If I were to nitpick - I personally found myself a little distracted by her intonation and choice of words, which sounds to me like a teenager at the mall (it made me feel like an old fart). However, she does keep you going and frequent encouragement is part of why you use a trainer or class in working out, so better "sooo TOtally AWEsome!!" than not enough reinforcement. The author assumes you have some knowledge of basic yoga positions. Easy enough. There were a few times when I found her instructions of exactly what body position to be in not quite specific enough, as though she were relying on visual example. But most of the time it was pretty simple stuff. I felt good after doing the routine, I thought it was effective. I'd read this book (and the others in the series) probably half a dozen times or more before hearing the audio version, but was eager to enjoy the story again. The multilayered themes in L'Engle's books offer new insights and opportunities for discussion with every reading. My well-worn paperbacks are still among my most prized possessions, twenty-five years after the first reading! A Wrinkle In Time is an intriguing story with believable characters and substantial ideas, and the awards this book has won are well-deserved. Although the book was published three decades ago it still feels absolutely contemporary. 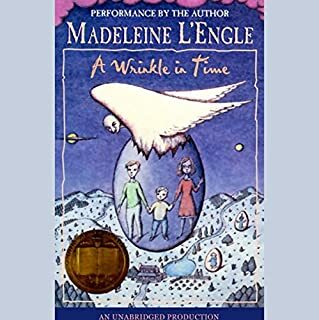 Other reviewers of this audiobook have complained about Ms. L'Engle's reading and narration style being a bit unaccessible. To me, her voice is that steaming mug of cocoa on the blustery stormy night. It is comforting and grandmotherly, as opposed to professionally acted. If there is one thing L'Engle never does in her books, it is underestimate the reader's intelligence. I think it would be out of character for this author to highly differentiate the voices of her characters in a cartoon-show style. While there are some sound effects and efforts at characterization, they are subtle. This gives the listener more room to flesh the characters out in his or her own imagination. This subtlety does make the audiobook less convenient to listen to, if one is carrying on another conversation or otherwise preoccupied, as you will need to pay closer attention to the dialogue. For many readers who are already fans of L'Engle's books, or have the time to listen intently, this is a real treat. For those who are less familiar, or perhaps found this recording disappointing for the kids, I would recommend starting with the printed version for your children and enjoying this recording for your first of many re-reads together. I loved this book for its insight into feelings of fear and hope. 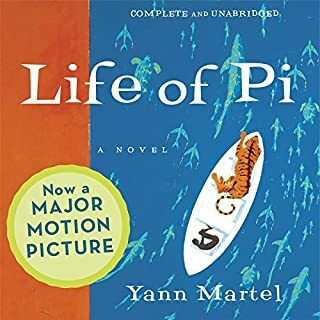 The narrator's delivery irked me for the first ten minutes until I got used to it, and then I became quite attached to the character and his plight. It was hard to limit myself to listening to the book in small segments, and I found myself mesmerized by the imagery of the premise, even when I wasn't listening to the book. I found the story inspiring for demonstrating that a less-than-super hero can prevail. The attention given to animal psychology made the book very believable. Kudos to the author for pacing the book in such a way that the reader can get the sense of being lost at sea. Highly recommended!